 Our Oakshed & Sons N°8 Leather Care is a 2-in-1 cleaner and conditioner for your car's interior and motorbike saddle. 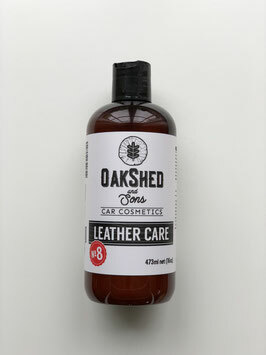 Our bio-based cream contains plant-based lotion and conditioning agents which naturally lift contaminants from the leather pores. 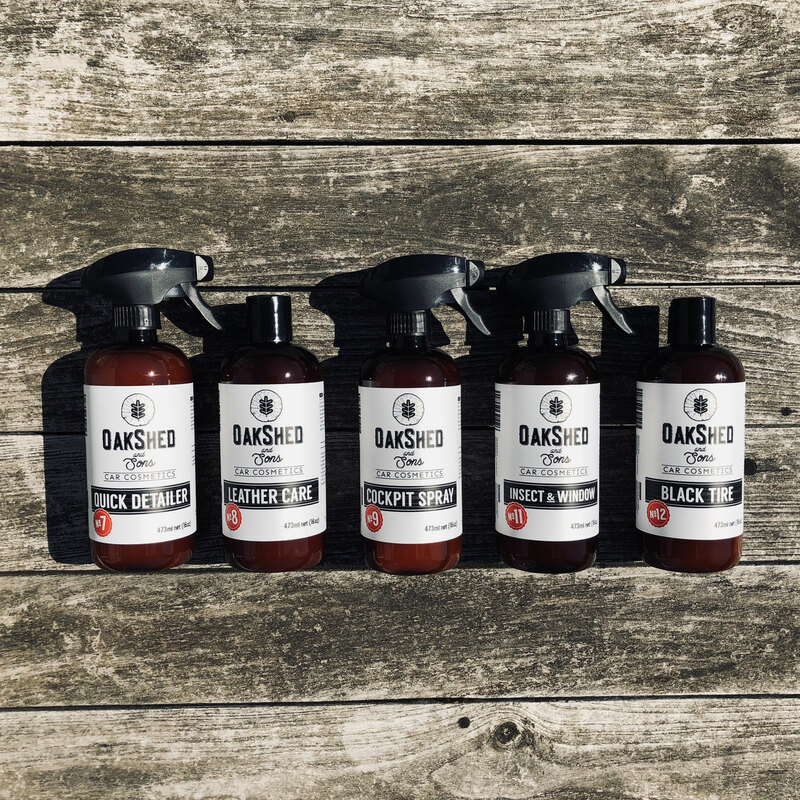 At the same time, the conditioner will leave an in-depth natural shine that will leave your seats looking rich and re-nourished after application. 3. 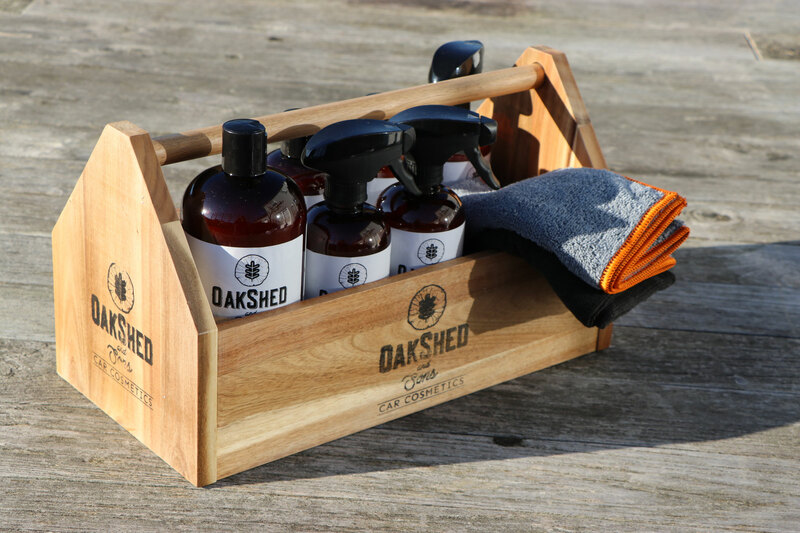 Squeeze liquid onto soft towel (cotton or microfiber). 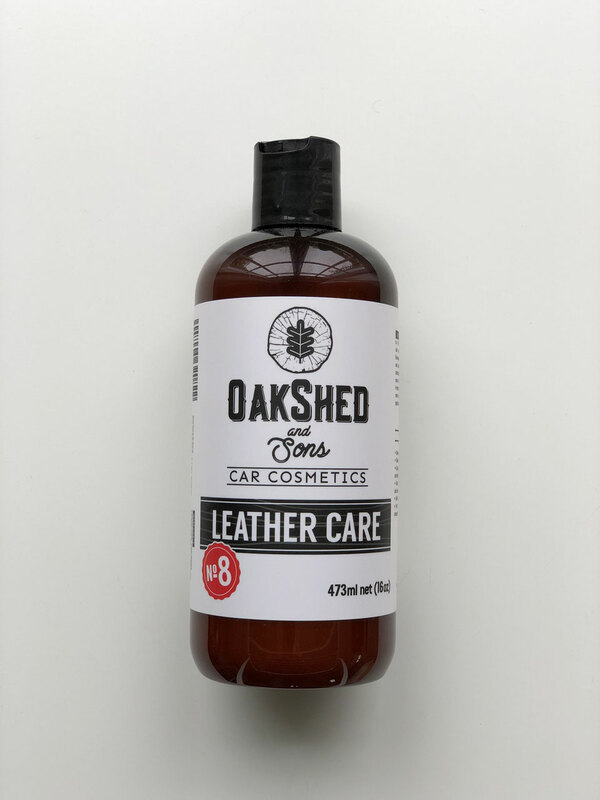 Filtered water, plant-based conditioning agents (cetyl ester emulsion), vegetable glycerin, polymer emulsion (for shine: dimethicone), fragrance oil blend, preservative.